Michelle is a Board Certified Massage therapist, licensed by the by the Commonwealth of Virginia (Board of Nursing Department of Health Professions). Michelle has always shown interest in medicine and a genuine desire to help others. At age 14, her first job was volunteer nursing at Irvington General Hospital in New Jersey, as a Candy Striper. Michelle continued to work with and care for people of all ages throughout her life. Michelle married her “high school sweet heart”. They have five children and are now grandparents. The desire to pursue a medical career was “put on the back burner” while she devoted her time to being a wife and mother. 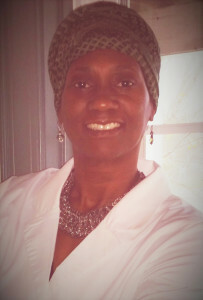 When her youngest child was four years old, Michelle went back to school to study therapeutic massage and bodywork. While there, she was “Divinely Guided” to the ancient medical practice of Ayurveda, a system of holistic medicine that uses the laws of nature to heal and maintain optimal health, wellness and mind/body balance. Michelle has continued her studies in fitness, nutrition, massage and bodywork therapies. Yoga is the “sister science” to Ayurveda. It only seemed fitting to gain professional knowledge of this ancient healing practice as well. In 2010, Michelle obtained certification as a Yoga Fitness Instructor. In November 2014, Michelle to began professional training in Classical Maharishi Ayurveda at the University of Maryland School of Integrative Medicine. This training helped to incorporate the knowledge of the disease process, diagnosis, nutrition, lifestyle modifications, in depth consultation, and self care into her natural wellness practice with more confidence to help individuals follow personalized recommendations for daily routine, optimal health, and well being. Her interest in Ayurveda gained the attention of a practicing husband and wife team of physicians from India. In the spring of 2015, Michelle hosted the couple in her home for eight days as well as public workshops on Ayurveda cooking, yoga, lifestyle modifications, stress reduction, skin care, healthy weight control and more. In the fall of 2015, Michelle was able to expand her successful practice from a home office to a beautiful lakefront commercial space. Michelle has since partnered with “Every Body Walk”- The Movement to Get America Walking and “ExeRxcise is Medicine”- A Global Health Initiative Managed by the American College of Sports Medicine. Michelle is also an advocate for National Alliance on Mental Illness (NAMI). “Walk and Roll 2 Wellness” is a program Michelle will be launching Spring 2016 to include people of all ages and those who are wheelchair bound to get out and moving. Michelle also sits on the Advisory Board in the Health Sciences Department at Stratford University in Woodbridge, Virginia. 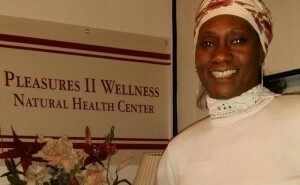 Learn more about Pleasures II Wellness Natural Health Center at their website.